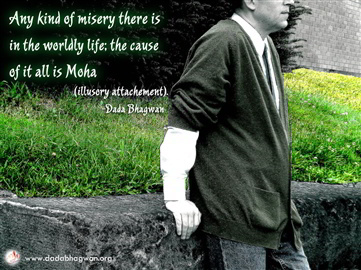 Any kind of misery there is in the worldly life; the cause of it all is moha (illusory attachement). 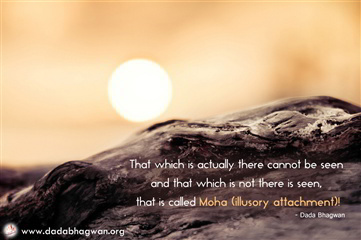 That which is actually there cannot be seen and that which is not there is seen, that is called Moha (illusory attachment)! 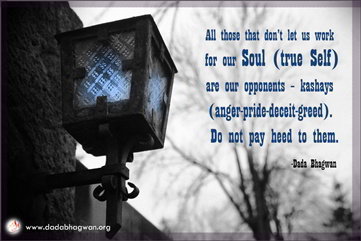 All those that don’t let us work for our Soul (true Self) are our opponents – kashays (anger-pride-deceit-greed). Do not pay heed to them. 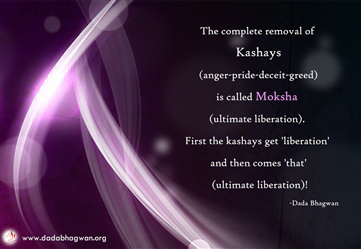 The complete removal of kashays (anger-pride-deceit-greed) is called Moksha (ultimate liberation). First the kashays get 'liberation' and then comes 'that' (ultimate liberation)! 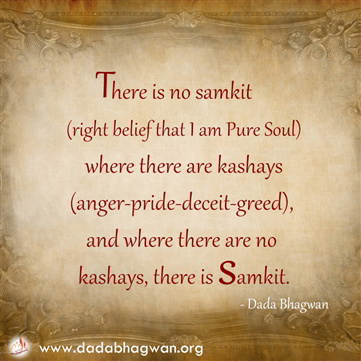 There is no samkit (right belief that I am Pure Soul) where there are kashays (anger-pride-deceit-greed), and where there are no kashays, there is samkit. 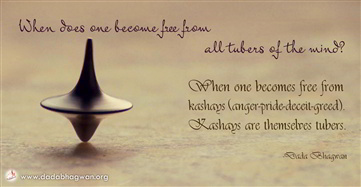 When does one become free from all tubers of the mind? When one becomes free from kashays (anger-pride-deceit-greed). Kashays are themselves tubers. Absence of Kashays (anger-pride-deceit-greed) is indeed bliss. 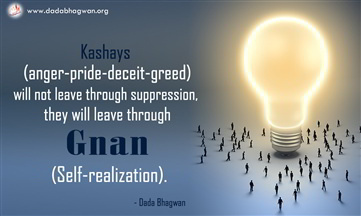 Kashays (anger-pride-deceit-greed) will not leave through suppression, they will leave through Gnan (Self-realization). When will the Soul be realized? As long as the wrong understanding of, ‘I am the doer, ’There are things I can do’, exists in this world; until such ignorance is removed, one will neither realize Soul nor will he find any information on the Soul. 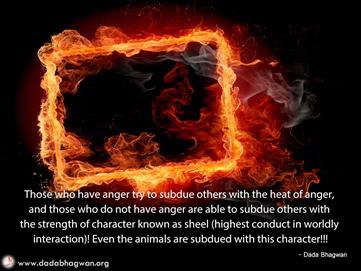 Those who have anger try to subdue others with the heat of anger, and those who do not have anger are able to subdue others with the strength of character known as sheel (highest conduct in worldly interaction)! Even the animals are subdued with this character!!! 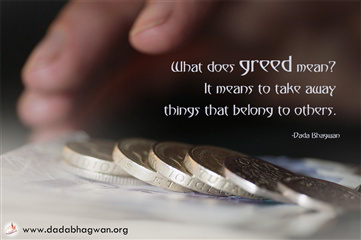 What does greed mean? It means to take away things that belong to others. Take a ride in a rickshaw and go on dropping money along the road. 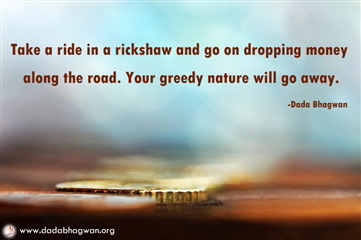 Your greedy nature will go away.